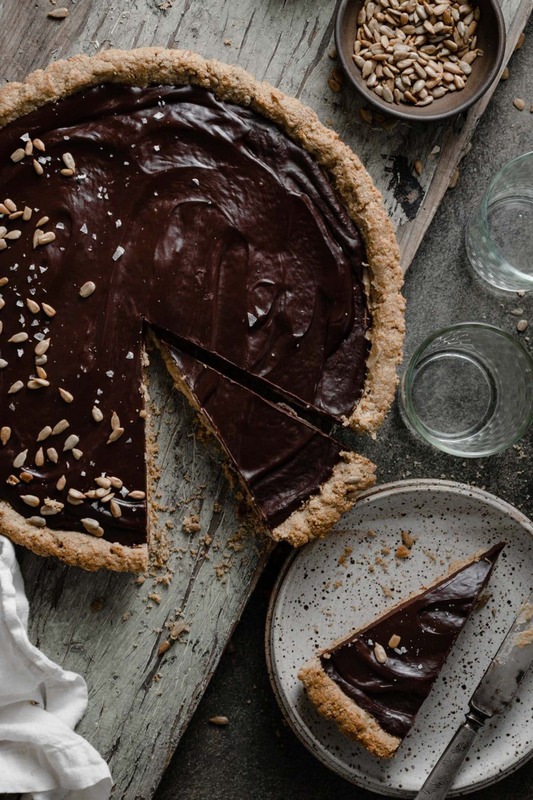 Everyone loves a Chocolate Tart, right?! 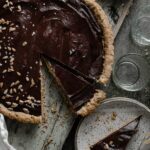 Chocolate Ganache atop a layer of creamy sunflower butter filling, with a toasted sunflower seed coconut crust is what you need to make ASAP!!! I mean there is coconut oat crunch, smooth whipped sunflower butter, and rich dark chocolate, even a sprinkle of flaky sea salt. All your candy bar cravings satisfied in one bite. Peanut Butter and Chocolate are always paired together, but what if you have a nut allergy? 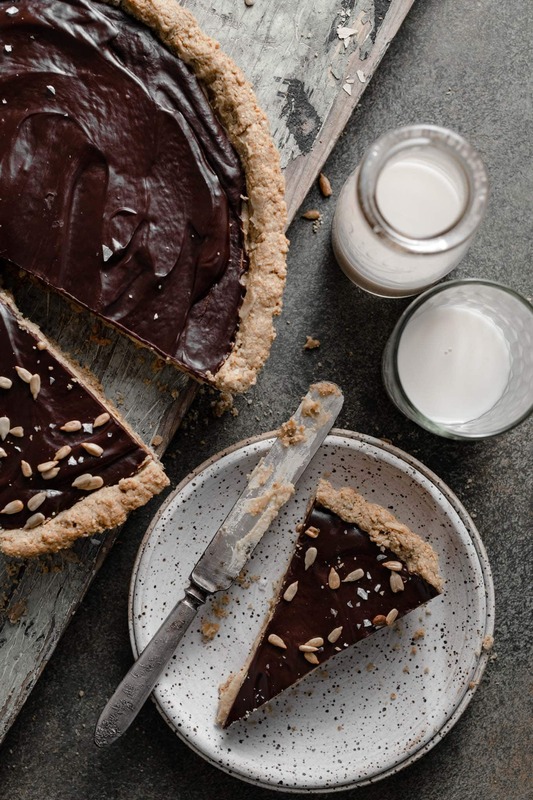 What do you do with those nut butter desserts you’re ready to devour but can’t. 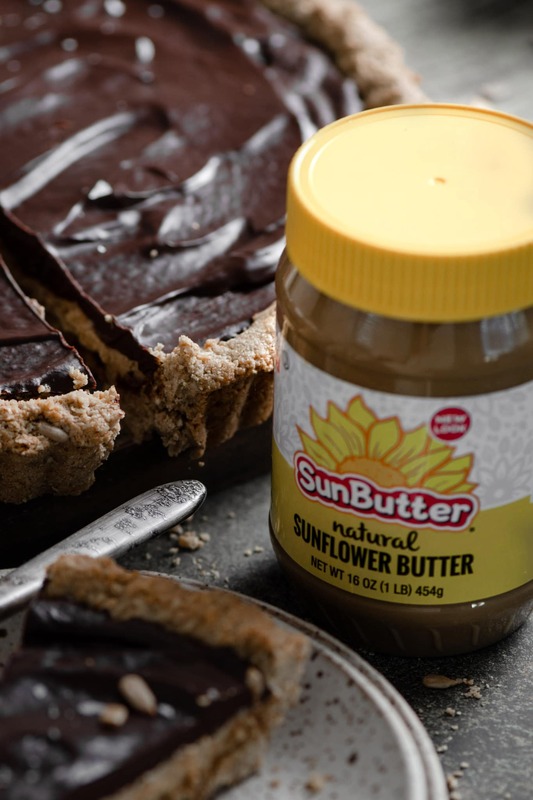 Well, you grab a delicious jar of SunButter Natural Sunflower Butter. The flavor is amazing, offers more unsaturated fat, magnesium, and vitamin E than peanut butter with no cholesterol. Say what?!! 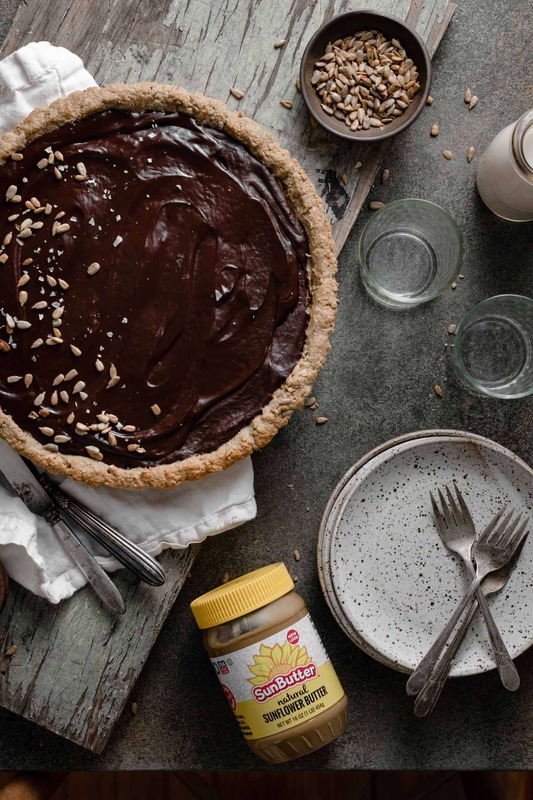 Yep, SunButter not only has a fabulous relationship with dark chocolate, but its a healthier alternative to peanut butter. Lightly spray your tart pan with baking spray. Pulse oats, coconut, and toasted sunflower seeds in a food processor to create a crumb like texture. I then add a 1/4 cup of toasted sunflower seeds and 1/4 cup of shredded coconut into the crumbs. Stir in the maple syrup, coconut oil, and SunButter All Natural Sunflower Butter until all the ingredients start to stick together. It won’t be a dough, but more of a thick dry oatmeal texture. Scoop crust mixture into pan. Wet the tip of your fingers and press the mixture in an even layer across the bottom of the pan and up the sides. You may have to wet your fingers a few times. This helps the crust bind and makes it easier for you to smooth. Let the crust completely cool before adding your sunflower butter filling. Whip the cream cheese sunflower butter filling and then spread across the bottom of the crust. Place in the fridge to chill while you make the chocolate ganache. Stir the cream with the dark chocolate until melted and thick. Heavy cream can be replaced for full fat coconut milk. Remove the ganache from the stove and let cool to room temperature. Pour the chocolate ganache onto the sunflower cream filling and smooth with a spatula. Set the tart back in the fridge for about about 2 hrs before slicing. Store in the fridge in an air tight container for 4-5 days. 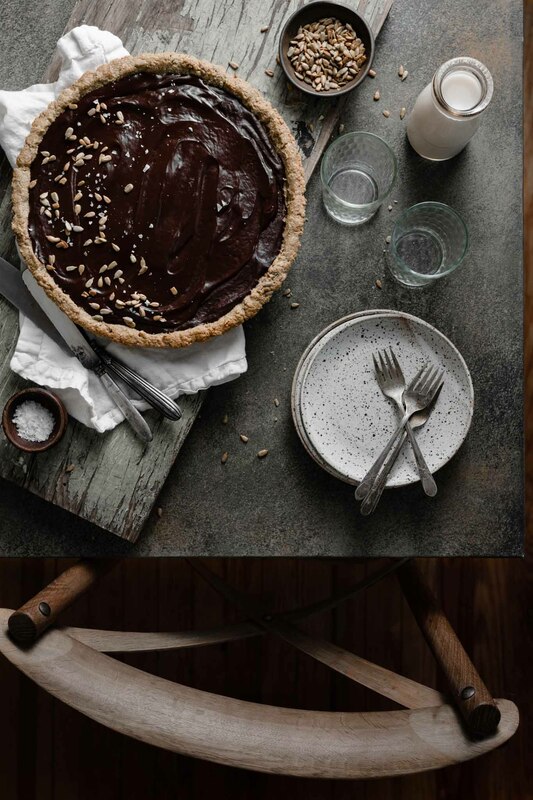 Sunflower Chocolate Tart Recipe is Sponsored by Sunbutter. All thoughts and text are my own. 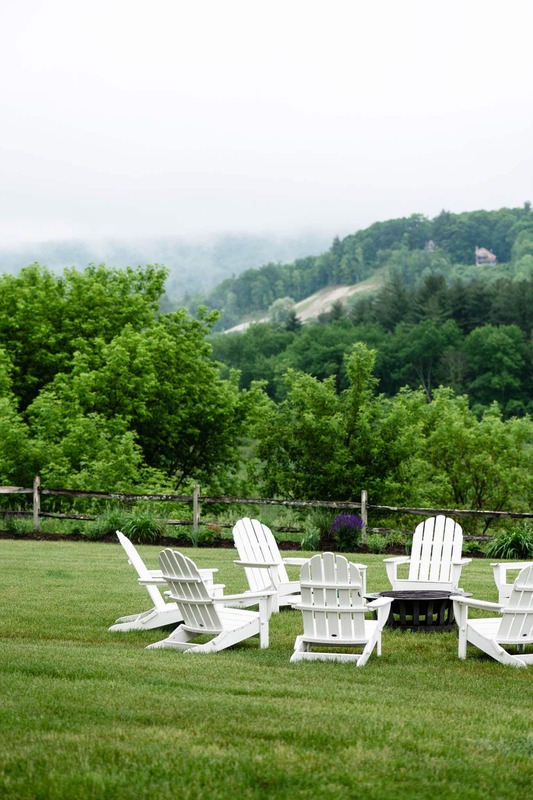 Thank you for supporting the companies that help make Two Cups Flour possible. 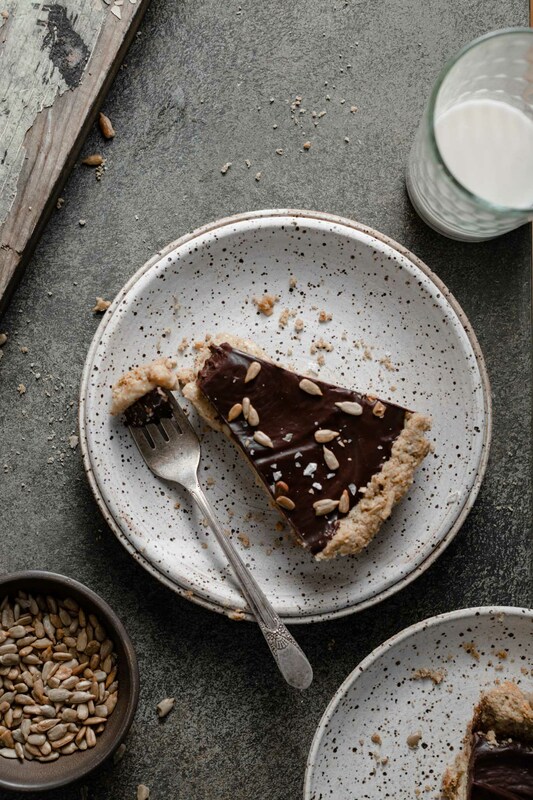 Sunflower Chocolate Tart is made with a coconut sunflower seed crust, creamy sunflower butter filling, and topped with a chocolate ganache. 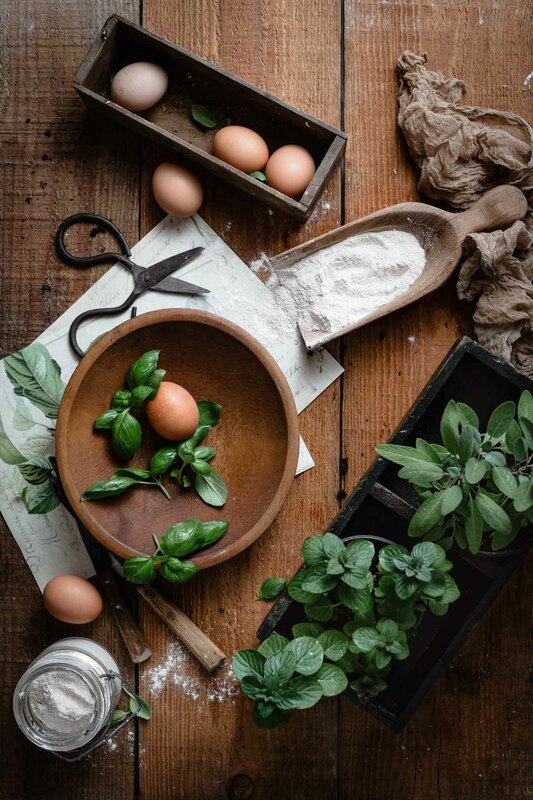 Prepare a 12.5 inch round tart pan with a light coating of baking spray. Combine Oats, 1/2 Cups Sunflower Seeds, and 1/2 Cup Shredded Coconut into a food processor or blender and pulse until resembles cornmeal. Transfer powder into a large bowl. Stir in salt with remaining sunflower seeds, and shredded coconut. Add melted coconut oil, maple syrup, vanilla, and SunButter. Set crust on a middle rack of oven and bake for 18-20 minutes until browning around the edges with a strong fragrant odor. 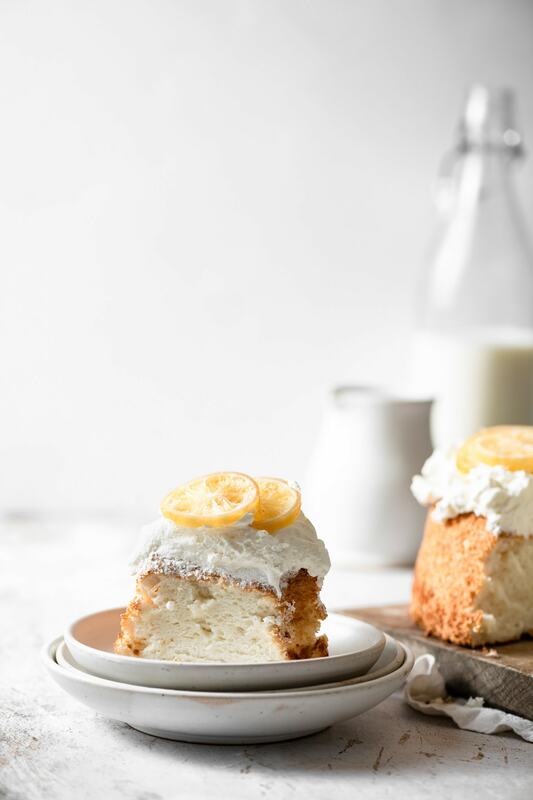 Combine cream cheese and butter in the bowl of stand mixer with the whisk attachment. Add SunButter, salt, and vanilla then whip again on medium speed until combined. Finally add powdered sugar and mix until creamy. Scrape sides and bottom of bowl as needed. Scoop filling into cooled tart crust and smooth with a small spatula. Place in the fridge for about 30 min before adding chocolate ganache. Pour Heavy Cream into a small saucepan over medium heat. Add vanilla extract. Continue stirring until small bubbles begin to appear. (DO NOT Boil). Remove saucepan and add the chocolate chunks. Let sit for 2-3 minutes to heat the chocolate. Gently stir the mixture with a whisk until smooth glossy melted chocolate forms. Pour chocolate ganache onto cooled sunflower cream filling. Spread evenly with light pressure using a small spatula. Place in the refrigerator to chill and set for 2 hrs. 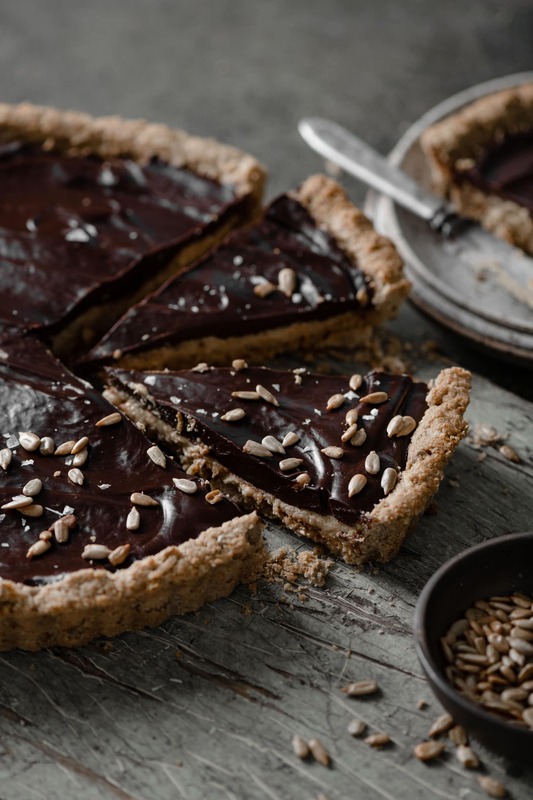 Sprinkle tart with toasted sunflower seeds and flaky sea salt.